Dimensions 60.0 In. X 4.0 In. X 4.0 In. 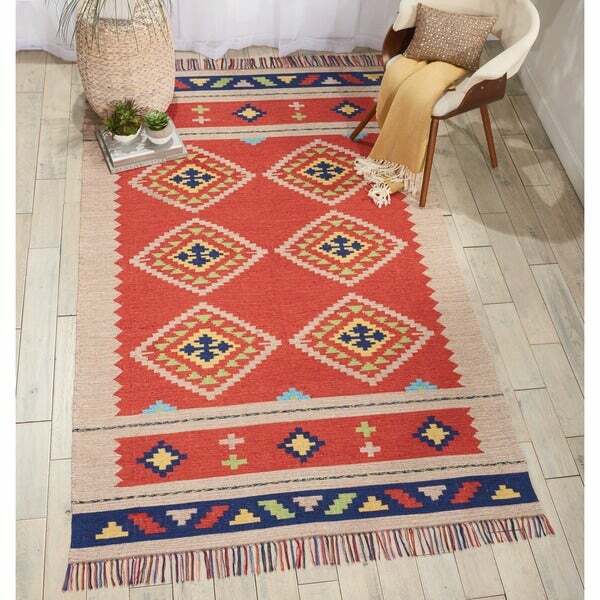 Bright and bold colors, I am in love with this rug. It might border more on the salmon/orange color than red, but I prefer it that way. 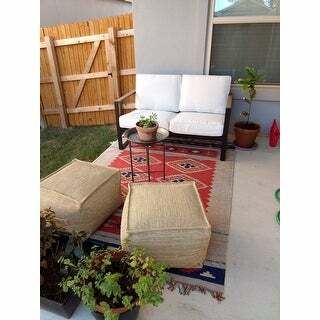 We use it on our covered patio with an outdoor rug pad underneath. It should hold up due to low traffic/ little to no rain in our area. 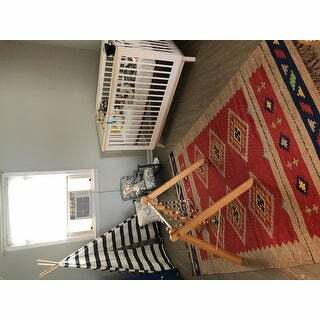 The rug is the perfect size and color--just as shown online! It is well-made, reversible and was made even better by adding a pad underneath. The only drawback to these types of rugs is that they tend to shift when walked on, but the pad totally takes care of that, plus making it feel more "cushy"! All in all, a great find, delivered quickly as usual. the color of this rug is exactly like the picture, very pretty. However, its very thin material for a rug. The stitches on the sides are too tight, so the rug is unable to stay straight/flat on the floor like the picture,have to return. This rug is gorgeous and perfect in every way. The colors are exactly as depicted. The quality is beautiful. SO very happy with this purchase. Very nice rug, but color off. More of a bright orange pink than a red tone. I love it. It complements my dining room nicely! Love it! It’s perfect for our living room!